The poster series Urban Hymns was developed for the exhibition The Urban Condition at Museum De Paviljoens Almere from April 1st until October 22nd, 2006 to reflect on urban development. 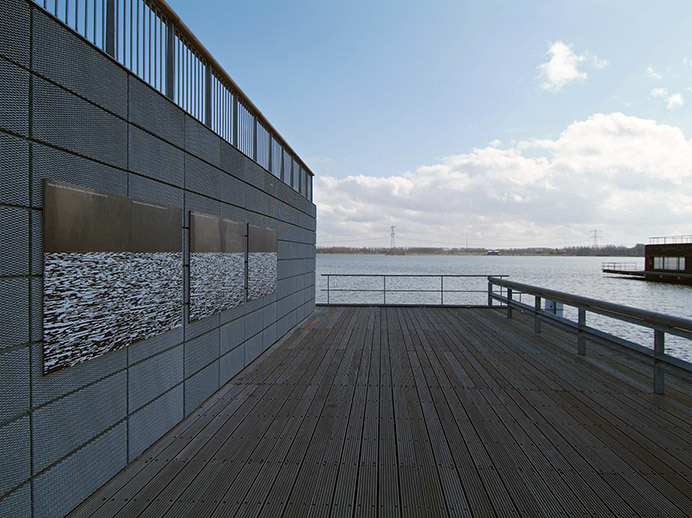 The new town of Almere was built in 1976 on land reclaimed from the sea in the 20th century. It is a city in progress that is changing and reshaping at a rapid pace. Transformation is movement and movement is sound, especially in contrast to the underwater world of the historical Almere. Sound makes space measurable, e.g. when sonar equipment is used to determine nautical distances and measurements. Ever since the first human settlement, sound has been an essential element of the city: by walking with closed eyes through urban environments, complex images arise from our acoustic impressions. Images that entirely remain hidden and inaccessible to the public. A strong relation becomes obvious: sound by nature seems to be linked to image and this is what this work is meant to reveal. 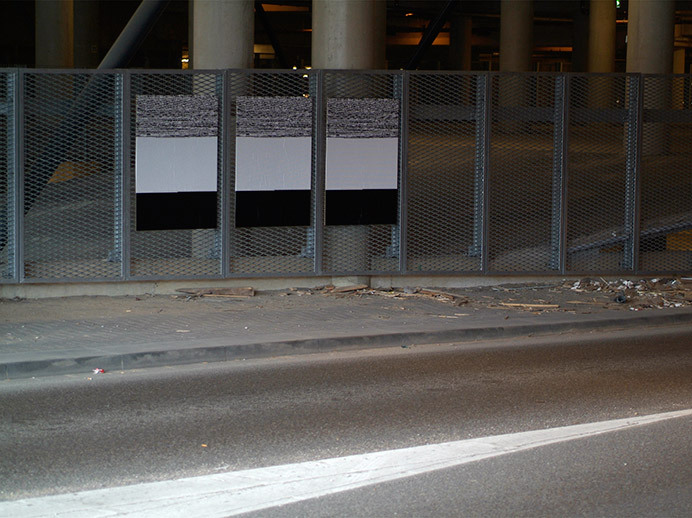 Graphic designer Niels Schrader and musician Tanja Keilen enter the public space with seven acoustic posters. 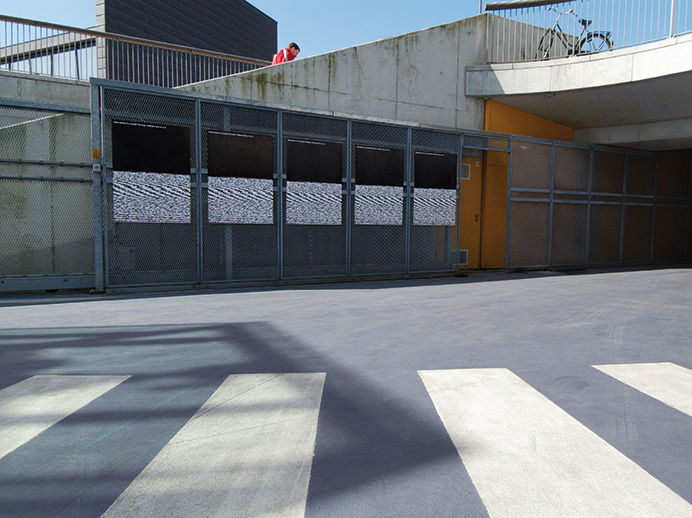 For this purpose, seven outdoor locations in the new city centre of Almere were selected according to their urban significance. The site’s specific sound was recorded and subsequently filtered to obtain the acoustic essence. 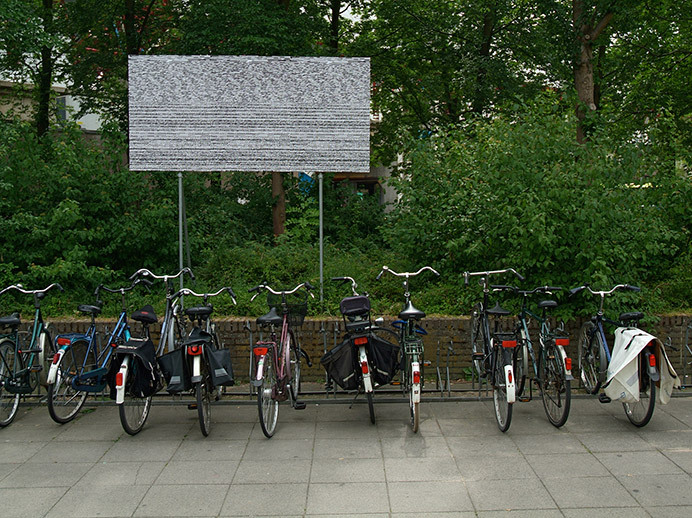 By finally rendering this tonal composition in an abstract computer image, the inherent visual appearance of a digital sound file is exposed. 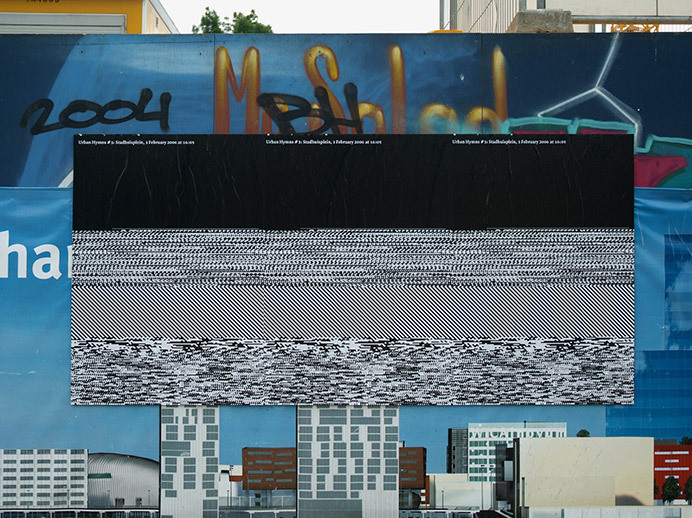 Computational processing was executed randomly and the final selection from the innumerable calculation outputs was made on the basis of an unexpected equivalence: every chosen poster includes a graphic horizon that could be seen as a visual reference to the city’s inevitable geological background. 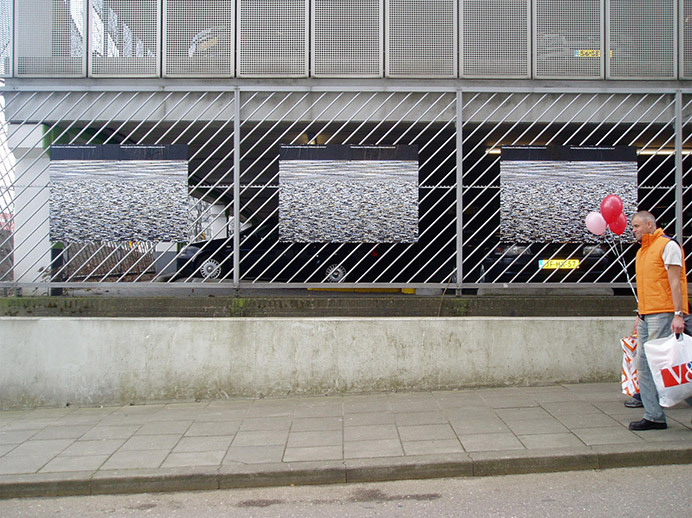 Posters refer by nature to something beyond their immediate environment. Unlike ordinary posters, the posters in the Urban Hymns series have been made to reflect on their individual surroundings and mirror their acoustic context. Urban Hymns #5: Garage – All photos by Polle Willemsen Urban Hymns #6: Pier (Waterfront) Urban Hymns #1: Almere Central Station Urban Hymns #2: Beeldhouwerpad Urban Hymns #3: Stadhuisplein Urban Hymns #4: Krakeling Urban Hymns #7: Popzaal Hanging the posters at the concert hall.